Inspect your electric cords often for damage or wear and tear. If you have cords that are damaged then get them repaired right away. Worn cords can cause shock, short circuit or even at the worst fire. When removing cords, pull the plastic housing of the electric plug to take it out of the wall socket; never pull on the cord because this can cause further damage. When using electrical outlets try not to overload how many circuits or appliances are being used. We all know that water and electricity are a dangerous combination. Make sure to not operate electronics including hair dryers, curling irons, or kitchen appliances near water or tubs. Only insert electric plugs into outlets, do not place any other items into outlets. If appliances are not working properly or creating sparks, discontinue the use and recycle them. Always unplug an appliance before cleaning or repairing it. Remember that a turned-off appliance is still connected to electricity until it is unplugged. Always wear closed-toe shoes when operating an electric lawnmower or hedge clippers. Never use electric appliances outside in the rain or on wet surfaces. Stay away from electrical equipment, such as substations, transformer boxes and electric poles. Along with the above tips you can count on your local Reliant Electrician to inspect your home for safety hazards and be a consultant you can rely on. If you looking for the best Naperville electrician, Reliant Electricians are your safest bet. We have been in business for the last ten years and know what is most important to you. We will be able to provide you with quality electrical work in Naperville along with the peace of mind of a safe home. 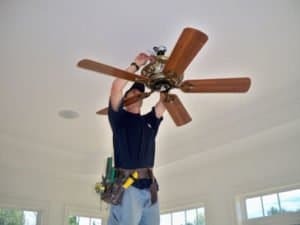 Electrical Safety Tips for a Safer Naperville Home Overall rating: 5 out of 5 based on 9 reviews.